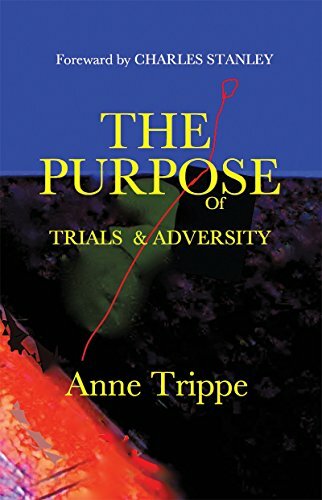 I Wanted to let you all know that my new book, The Purpose of Trials and Adversity, is officially out and available through Amazon and Barnes & Noble. I am excited about the possibilities for those who read it. It is different. It is encouraging. It explains some “mysteries”. “When facing trials and hard times, the problem and the solution each might include things we wouldn’t suspect. The chapters in this book will take us to places we might not have considered. Would you believe that scripture actually encourages us to be “preppers” – to get ready for the trials that will come? But in the book, before we learn to be “preppers”, we take a side trip to unearth some origins and discover a mystery. …We face difficult days in our country. Not only do we have no future hope in our political system, but the moral and spiritual fabric of our culture is rapidly declining. No longer do we see subtle changes, but it is now everyday some new law is passed allowing a sin God condemns. We are on the proverbial “runaway train!” Yet, as believers we remain encouraged in the Lord’s sovereignty and strategy. He controls all events and uses them for His ultimate purpose. Through the permissiveness and potential ruin we are facing, God can cause people to see their need for Christ as never before. Sadly, Christians are being carried along by the world’s pressures. It is increasingly clear from those counseled through Grace Solutions, that regular church attendees have little or no Biblical foundation. The basics of forgiveness of all sins through the blood of Jesus Christ are foreign to the majority of those we see. The truths of the indwelling life of Christ are like an unknown language to most. Yet, the days in which we live, God controls and uses the difficulties to bring men and women to the end of themselves and prepares them for the truth. Grace Solutions International, trusting in the power of the Holy Spirit, proclaims the grace of Jesus Christ as God’s only solution for sin, self, suffering and service. We desire to see individuals and families come to Christ and learn to walk in the power of the Holy Spirit.